Sjoerd De Jong, better known as “Hourences” to his colleagues and students, has been an undeniably pivotal force in the Unreal Engine community. While gamers might know him best through his work on The Ball, Unmechanical, Rekoil and a long list of other games, De Jong’s extensive tutorials collecting 14 years of experience have become the go-to source of knowledge for independent developers adopting Unreal Engine technology. With the announcement of Solus, De Jong and fellow Teotl Studios developers Wiktor Ohman, Mario Marquardt and Bianca Savazzi are combining their expertise in game development while leveraging the benefits of Unreal Engine 4 to create a visually arresting sci-fi survival game in which an alien environment is the enemy; a premise requiring the creation and control of intensely dynamic meteorological systems and natural disasters. De Jong’s relationship with Unreal Engine began in 1999 at the age of 15, after a store advertisement compelled him to make a long trek to the city by bicycle to purchase Unreal. Immediately enthralled with the game's 3D realms and unrivaled visuals, he began his journey into modding and game development with equal parts chance and fortitude. As De Jong recalls, “I did not have Internet access in those days, and my English was far from good, so I basically had absolutely no clue what to do. I did not have any tutorials, no Internet, no help from anyone, and no prior experience. In other words I learned to use Unreal Engine by randomly clicking everything for months on end, until I began to recognize patterns and techniques." After a year of dedicating himself to level design, De Jong connected with the Unreal Engine community, developing recognition for his work and forging important contacts. He used his skills to land work with Guerrilla Games, Digital Extremes, Starbreeze Studios and Webzen, among other studios. Along the way he also left an indelible mark on Epic’s Make Something Unreal legacy. Make Something Unreal first launched in 2003, with subsequent events kicking off in 2008, 2012 and 2013. Since entering that first competition, De Jong's contributions resulted in an impressive eight first place achievements and 15 top-five finishes across different categories and phases. It was the 2008 entry, The Ball, that put Teotl Studios in the limelight, leading to a commercial release in 2010 and positioning De Jong as a leading proponent of Unreal Engine for independent game developers. De Jong's website, Hourences.com, is the first stop for many developers and students dipping their feet into Unreal Engine for the first time. Packed with tutorials for Unreal Engine 3 and the Unreal Development Kit, for beginners and advanced users alike, the website has pulled in 4.8 million pageviews. In addition to producing tutorials and training videos for Eat3D, De Jong regularly speaks about Unreal Engine at local universities and holds a leading role at FutureGames, a game development education program located in Stockholm, Sweden. 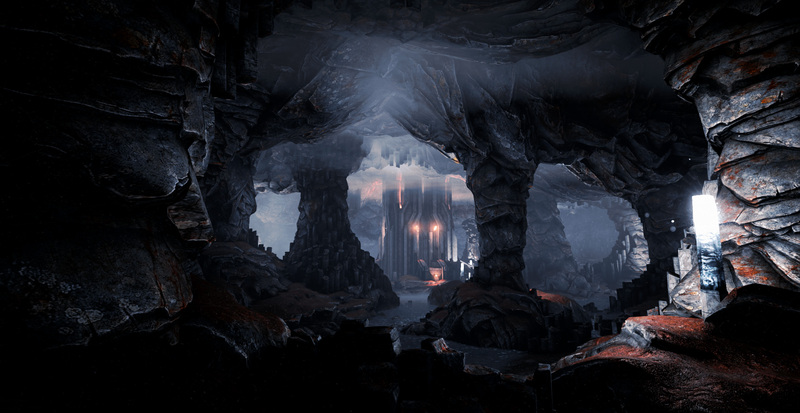 Solus is being developed with Unreal Engine 4, and De Jong says that transitioning into the new technology and toolset “felt like coming home.” When considering the numerous upgrades from Unreal Engine 3, he cited Unreal Engine 4’s new Blueprint visual scripting as his favorite feature, using it to create the game’s dynamic weather systems and even automate some of the level-building. 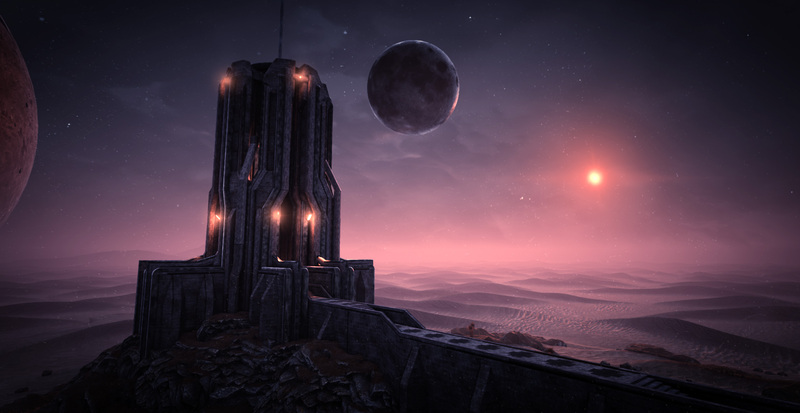 In Solus, players must survive on an uninhabited planet amid incredibly harsh conditions with the player under constant threat from extreme highs and lows of temperatures, rising and falling tides, shifting winds and fog, and dozens of other variables that affect everything from the ground-level atmosphere to the stars above. Using Blueprint, Teotl Studios has been able to condense the entire weather and sky system into a single script. As a professional level designer, De Jong has always held Unreal Engine’s tools for creating captivating worlds in the highest regard. The landscape of Solus is a stunning sight indeed, but its scope combined with the small size of Teotl Studios placed a heavy emphasis on the need for efficiency. With the help of Blueprint, De Jong was able to automate some of the level design process by creating script to randomly place rocks and trees in the terrain, significantly reducing the workload in the process. To see more of Solus, be sure to visit www.solusthegame.com. Check out www.hourences.com for development updates and Unreal Engine tutorials, and follow Sjoerd De Jong on Twitter via @Hourences.